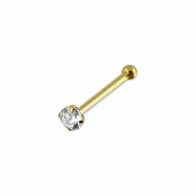 We bring you excellent in vogue and stunning Wholesale gold diamond nose pins that will rejuvenate your looks. 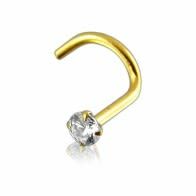 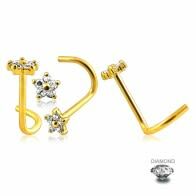 We possess one of the best selections of 14 karat diamond gold nose rings, nose twists, studs, fishtails and nose bones. 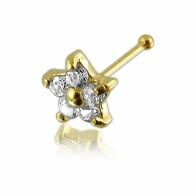 You will love our gold jewelry in a combination of gold and diamond in totally reasonable range.